Speaking during the First National Bank (FNB) Zambia 10th year anniversary dinner held at the Taj Pamodzi Hotel in Lusaka on Monday, Mwanakatwe tipped the bank to lead the way in lowering lending rates for young entrepreneurs and women. She noted that young entrepreneurs would be clients of the bank for much longer while women had excellent credit scores due to their financial discipline and commitment to agreements. “For any economy, having non-performing-loans at over 11 per cent is not healthy. 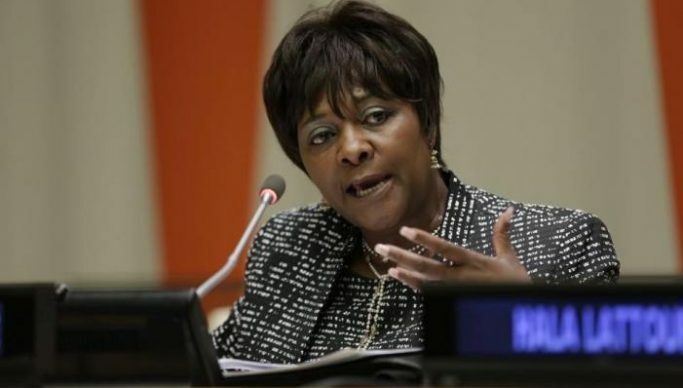 We need programmes which will help borrowers to understand that when they borrow, they must make money to repay the money they borrowed,” Mwanakatwe said. She added that the government was cognisant of the bank’s overall track record and positive reputation, built over the last decade. “It is, therefore, important that the bank should continue to work at maintaining and growing its positive reputation and footprint not only in the jurisdictions in which it operates, but also in the individual minds of its clients in various places,” Mwanakatwe said. “And they have been paying their taxes on time….” she said. Meanwhile, Mwanakatwe took time to ‘repeat’ herself on the progress made towards the implementation of sales tax, whose implementation has since been deferred from April 1to July 1 this year. “In my address, I indicated that extensive consultations, but not exhaustive, have been made and a draft bill is ready for first reading tomorrow, Tuesday, 2nd April, 2019. Since Parliament adjourns tomorrow (Tuesday) itself, the bill will be deferred to the June session for the second and third readings and other processes that follow,” explained Mwanakatwe.